So I’m watching Outlander (yes again, don’t judge me) and it occurred to me that Jamie is the quintessential chaotic good character – he has a strict code (don’t get drunk, respect women, swear loyalty to family, etc). At first glance, he’s a pretty good guy. A little boring, maybe. Even before he loves Claire, he protects her from people who might harm her, helps her learn about the 18th century she’s been transported to, and at one point sleeps outside her door to make sure she’s safe (and refuses to enter to protect her reputation!). But there’s a darkness in Jamie – where the chaos comes into play – where he’s allowed to kill Red Coats and beat people up that threaten violation of his code. He’s also the rebel who stands up for the right against tyrants (the British, and in Season 2, the French). He’s definitely more good than chaotic in season 1, but this quickly changes in Season 2, and even more of an alignment shift in Season 3. I’m more excited to see how this changes in upcoming Season 4. It’s actually often pains me to watch Jamie evolve, because I know he’s so inherently good, than when he has to make bad decisions, it tears me up inside. Author Diana Gabaldon, and the producers of this show, have done a great job betting us obsessed with Jamie’s next move as he fights to protect his oaths to Scotland and Claire in this series. 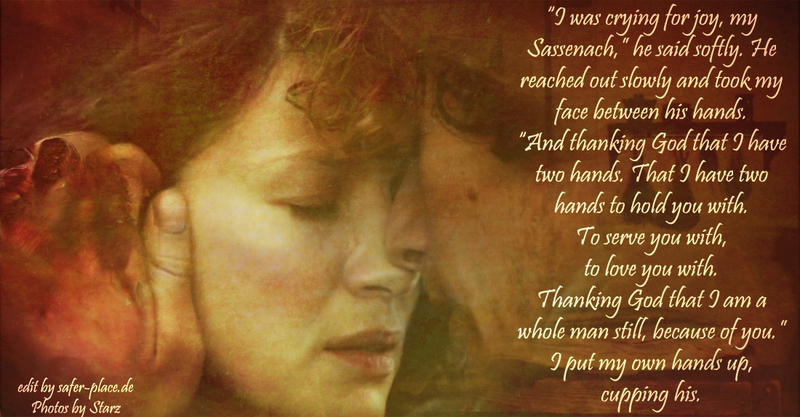 Jamie and Claire’s love is truly timeless, spanning centuries and thousands of miles. Write me a character like this, and I’m sold immediately. So here’s my question – as authors (and readers!) why do we want to write and read the “bad boy” who breaks the rules, is a giant jerk to women, and doesn’t give a damn about the rules? Why do we crave such inherently evil characters that rarely evolve as the book continues? Where’s our man with that code that he only breaks in the heat of death and destruction?I guess my answer is we love the guy that wants to fight for us. But is there room for the sweetheart, the good man, the ultimate savior, as well? I’m a bit of a hypocrite, I know; my most beloved MC, Gill, in my book Mirrors, is such a “bad boy” type, but he evolved dramatically over 4 books into a man who fights for what’s right. On the other hand, though, I have Ambrose, from my upcoming novel, Poppy Bloom, who’s “too good” in the beginning…he sticks to himself, doesn’t interfere, but sometimes he must to save others. To be fair, Outlander has impacted my writing more than I want to realize. In the end, Gill and Ambrose are parallels to Jamie: both good hearts, but a little dark. They are essentially my “Jamie” characters. I’m proud of these good men. I wouldn’t change them for the world. Look, here’s the bottom line: the more I watch Jamie, the more I wonder – where ARE all the “good guys” in fiction? For once, can’t I have a man (or woman!) who’s a loyal paladin who breaks the rules to protect others? The one who you know will do everything to protect you, but his motives and heart are (mostly) pure? 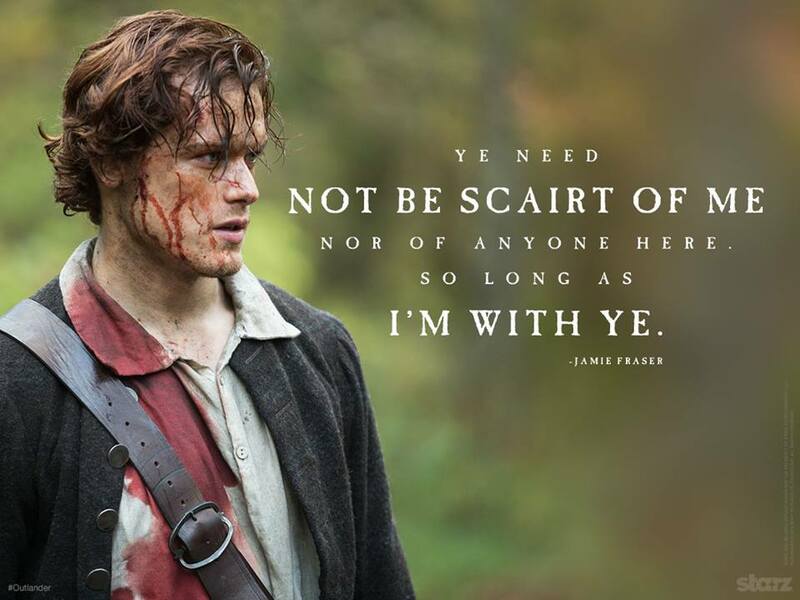 I guess what I’m saying is I think the world, not just of books, but the world itself, needs a hell of a lot more ‘Jamies.’ It needs good people who protect women and aren’t given to drink and will go to the ends of the earth – and even another continent – to protect the ones they love. My greatest challenge to is to write characters like this. The perfect blend of sweet, innocent, and strong and chaotic. It’s a tough road ahead, but I’ll never stop writing my chaotic good characters. I love them as much as I love Jamie’s fictional spirit. So I’ll leave you with this last quote, and a question for you all: what books have you read with a “Jamie”? Drop some links in the comments and help me add to my reading list!